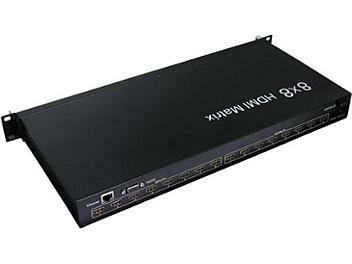 Allows up to eight HDMI audio/video devices to be independently switched to eight HDMI monitors, HDTV's, or projectors. 1080p@60Hz@36 b/pixels, 3D, 1080i, 720p and other standard video formats. Four switching modes : panel buttons, local IR, RS232 and Ethernet.